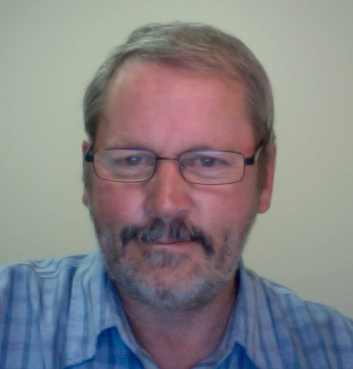 Hi, my name’s John Pearce and I am an education consultant and part time university tutor based in Portarlington, Victoria, Australia. Prior to this I taught in a number of primary schools around Bendigo and Geelong. I have also presented at a number of conferences both nationally and internationally. This blog is where I will put my musings and links related to the use of ICT and other associated technologies. Hi John, I have spent some time backtracking through this blog of yours and really enjoyed the reading. Now I will subscribe in my bloglines feed. Thanks 🙂 However, it took a bit of backtracking to work out who you are? How about sticking your name on this blog too (and maybe geting rid of your ‘uncategorized’ category?). Good stuff. Thanks Judy, good point about the anonymity bit. I have duly amended this About post :). Great read so that’s why you appear in my blogroll. Congratulations on you winning the VITTA Teacher of the Year award for services to Victorian teachers as well as teachers across Australia and the world. Well deserved. Love the presentation – it’s a great resouce. I would like to invite you to add your blog information to the new International Edubloggers Directory at http://edubloggerdir.blogspot.com if you are interested. I came across your blog while searching for blogs by Australian primary school educators. I’m setting up a website for what will hopefully be a useful online community for Australian primary school educators to collaborate and share resources. Your blog is on there at the moment so that I can see how it looks with a few blogs up but I’ll remove it in the next few does unless you’d like for it to stay. If you like, I can remove it instantly. Well done on a great contribution to developments in education. A great blog and it looks like schools around Portarlington have a great resource to call upon (I used to own a farm at Johanna when I lived in Melbourne about 10 years ago). I am writing to ask whether any of your schools might like to try our beta software games at http://www.tutpup.com ? We have been getting quite a lot of use in the UK after blog coverage by Ewan McIntosh from Learing and Teaching Scotland and in the US as a result of being featured in Larry Felazzo’s top 10 new educational software list. Our site is having a few changes implemented while UK schools are on holidays but we also have a steady stream of Australian and New Zealand schools and students registering. Our site is entirely free and I am interested to get more feedback from Australian schools. In fact we did a bit of testing in Australia while I was there a few months back with my god daughters school in Sydney and at my nephews school in Wangaratta. If you have time, have a look at Tutpup as I would value your feedback. Thanks for the comments on your ACEC blog.